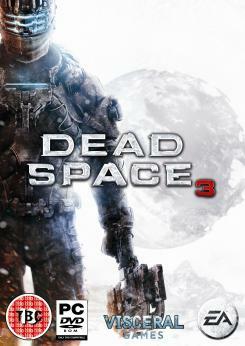 In Dead Space 3, Isaac Clarke and John Carver will travel together across space to put an end to the source of the necromorph outbreak. After crash-landing on the icy planet of Tau Volantis, they must fight through the harsh environment, scavenge for raw materials, and build devastating weapons to destroy the Necromorphs. On this planet lies the key to ending the necromorph outbreak, but Isaac and John must overcome huge obstacles like avalanches, risky ice-climbs and violent creatures in the wilderness. Having to face tougher and deadlier enemies than before, Isaac and John must work as a team to save mankind from destruction. Dead space three is the continuation of the horror-survival shooter franchise. Although the story (no spoilers) is okay and refreshing, the horror element is almost non existant. Co-op mode was brought so the game can be played with two people which is also a big plus. In short: Good game, but not scary at all. The first 10 minutes of this game will scare you to death, but the rest of the game falls short of its predecessors. Aside from being too much like DS and DS2, the gameplay begins to become repetitive about halfway through. However, the silver lining on this cloud is multi-player mode, which actually makes the game worth the purchase.